Terrifically clever, outrageous antics and constant laughs. This is the new show from Dr Neal Portenza and it’s brilliant as ever. It’s the third I’ve seen now and each time I’m wowed by how far he can push the envelope. Everytime you think you know what’s happening … he turns another ridiculous corner into the obscure and random. The show included a few added extras with some rather loud hecklers which only added fuel to the Neal Portenza fire of comedy. His quick reactions and the nature of the interactive show only made it more fun! If you don’t want to get involved… don’t see this show! It’s one in all in, the more you engage the more fun you’ll have and the more laughs the audience will get! This show was awesome!!! 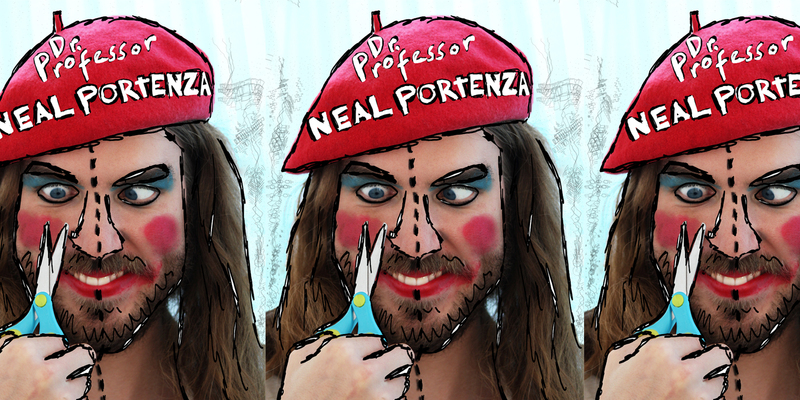 Get to ‪#‎sydneycomedyfestival‬ & see the ridiculous hilarity that is ‪#‎drprofessornealportenza‬.